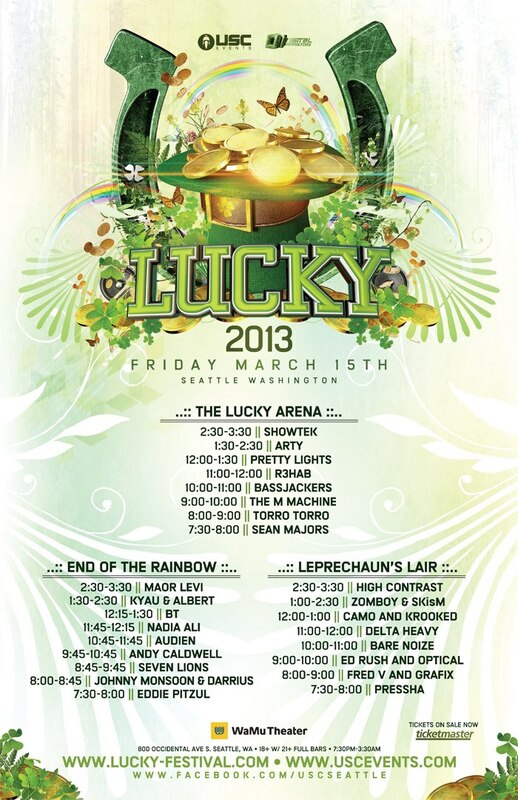 EmeraldCityEDM | USC Events update: Lucky set times & venue map released with a Paradiso teaser! USC Events update: Lucky set times & venue map released with a Paradiso teaser! 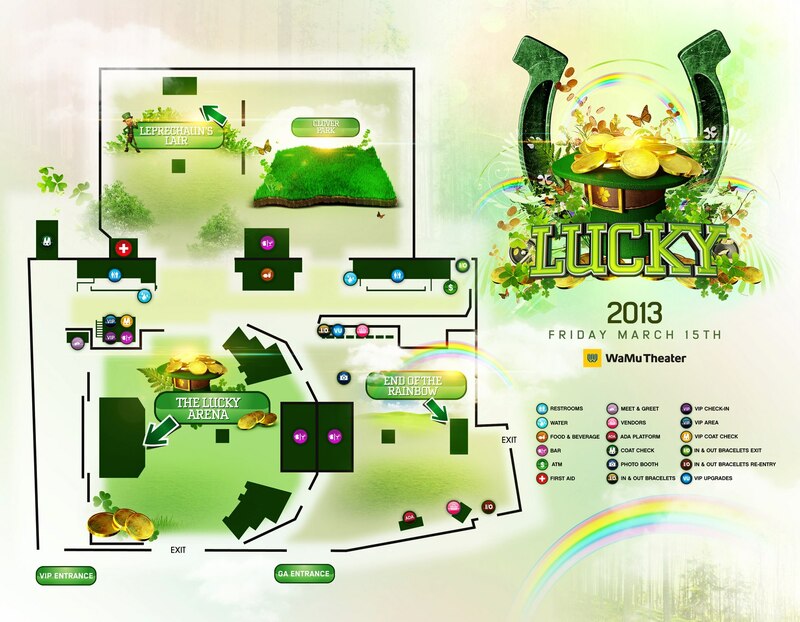 Stages: There will be three stages at Lucky, refer to the Venue Map for further information. Capacity: Per inquiry of USC Events, the capacity for Lucky has not yet been determined. USC Events stated to EmeraldCityEDM that “we are still working with the venue and fire marshal to figure out the exact capacity for this year’s LUCKY festival”. Tickets: Tickets are available online now via Ticketmaster, or at the physical locations listed online via this link. As of 3/11/2013, tickets purchased in cash at the WaMu box office cost $78.00. Contests: Enter USC Events’ Facebook contest to win a pair of tickets to Lucky. Contest ends this tomorrow, good luck! Find all Lucky 2013 related information at the EmeraldCityEDM Lucky 2013 page. Find all Paradiso 2013 related information at the EmeraldCityEDM Paradiso 2013 page. 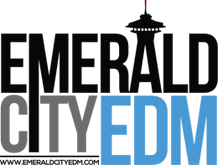 Stay up to date on upcoming public electronic dance music events in the Seattle area by following the EmeraldCityEDM Events Calendar.